The crack of a shell, whiff of sea salt, and the briny sweet juices... these are things I envision with seafood. The vibrant red lobster, glistening oyster, or pale pink scallops - how does food look so beautiful? This Victoria Day weekend, Lobster Clam Jam is pulling up at the Cabana Pool Bar and hulling a bounty of seafood for all ages. 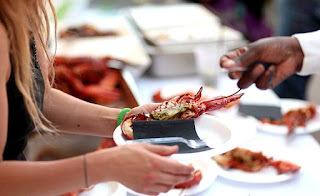 The outdoor food festival prides itself with being family-friendly with children activities (think bouncy castles and face painting) along with adult pleasing libations. 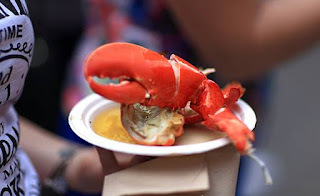 Although Lobster Clam Jam is making its Toronto debut in 2017, it’s been held in Montreal for the past four years and even proclaimed by Food Network Canada as “one of the top Canadian food festivals to visit this summer”. Guests will sample seafood creations from restaurants in Toronto and Montreal. Having dined at Patria, Weslodge, Blowfish, Buonanotte and the O&B restaurants, they certainly have a lot of shellfish dishes. Other participants include Jae Anthony of Seasoned Dreams, Notre Dame Gourmet, Queue de Cheval Steakhouse and Raw Bar, Buster’s Sea Cove, The Food Dudes, Bac Ky Pho and more. To wash down all the seafood, aside from beer and wine, they will also be selling signature mojitos and bloody Caesares. 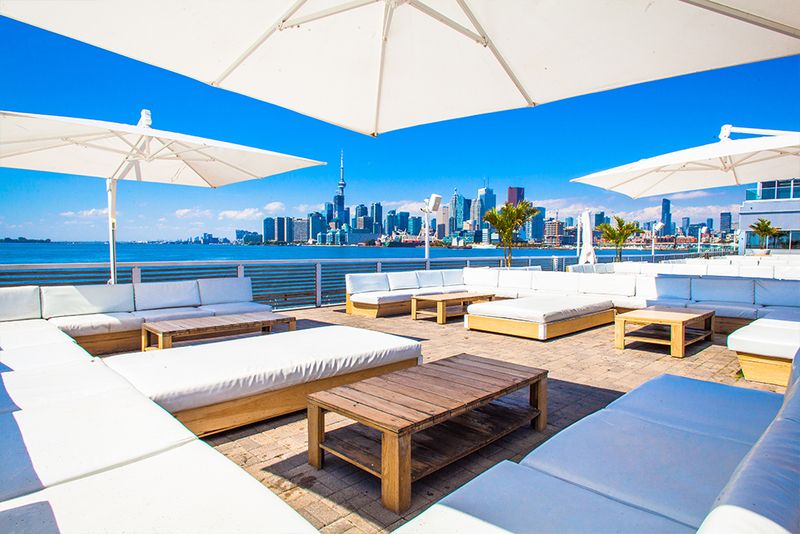 When you need a break, dance to music spun by DJ Eddie Lewis and DJ Chris Laroque. Great news! 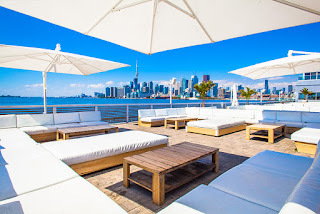 INK Entertainment has given me FIVE pairs of tickets to giveaway to Gastro World readers, where you and a guest will receive FREE admission to the event for a day of your choosing (valued at $25). It does not include any of the Clam tokens. Entries will be accepted until May 15, 2017 at 12:00 AM. Sometime the following day, I will contact winners through email with further details. Accordingly, please make sure you enter a valid email address in Rafflecopter contest site. Good luck!